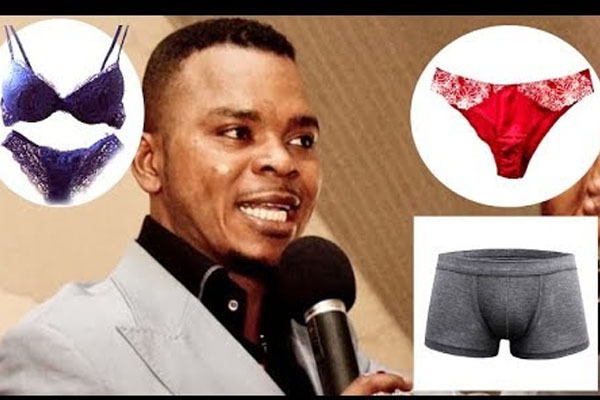 Bishop Daniel Obinim has said that the used underwear he ordered his church members to bring is to help him start a new business on their behalf. According to him, God gave him a spiritual direction to burn all the used underwear of his members. However, he realized that most of them are unemployed. “So I decided to burn some and leave the rest which will be used to open a boutique. Aside the profit I will make for myself, I will use the rest to pay some of my members who fake during miracle sessions” he added. This comes after a video of Daniel Obinim asking for the underwear of his church members went viral on youtube.